With recent research showing that some foods marketed as “first finger foods” for babies actually can be choking hazards, moms and dads might be confused about what to feed new eaters who are just learning to feed themselves. TODAY turned to pediatrician Dr. Tanya Altmann, author of “What to Feed Your Baby” and herself a mom of 3, for her recommendations. There are plenty of healthy finger foods your baby can enjoy. 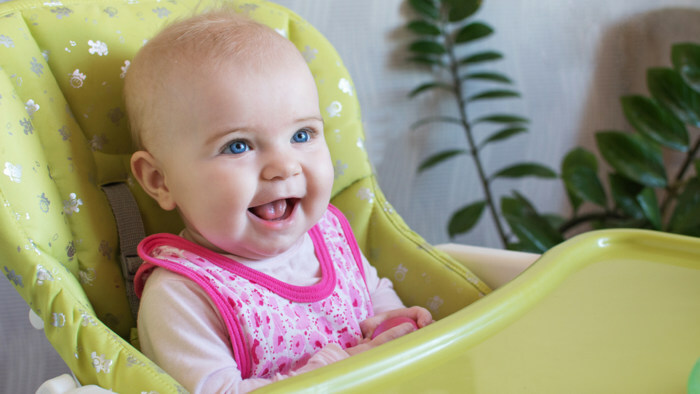 Self-feeding is an important skill that your baby can learn around 8 or 9 months of age and master by 12 to 15 months. Safety is key, however, as almost any food can be a choking hazard for an older infant or toddler if not properly served. Remember that older infants may just be starting to get teeth, and that they eat by mashing the food with their gums. Here are my top 6 favorite finger foods for babies. 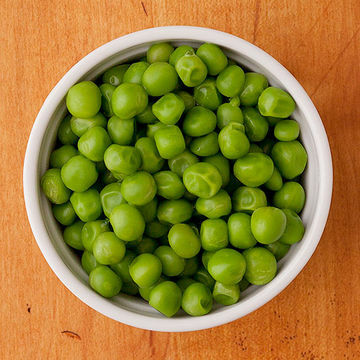 Steamed fresh frozen organic peas are my 15-month-old’s favorite! Super-easy to steam or defrost, they are the perfect size for tiny fingers to pick up, and can easily be mashed by infant gums. Green veggies have almost every vitamin and mineral you can think of. When you introduce babies early and often to green veggies, they will eat more veggies for life! Small soft pieces of scrambled eggs are a perfect first finger food. So easy for a 9-month -old to grab and put in his mouth. Eggs are a healthy source of protein, fat and other nutrients. I make scrambled eggs at night (who has time to cook in the morning?) and reheat quickly in the morning for a healthy breakfast option for all ages. Whole nuts are a serious choking hazard, but peanut puffs (crispy, airy packaged snacks) crunch and melt between little gums. In Israel, peanut puffs are a common first finger food. We now know that early and frequent introduction of peanut protein can decrease your child’s chance of developing a peanut allergy later in life. I cut them in half for the first few months, until they can handle the whole puff. My toddler eats these by the handful! This favorite cereal is much healthier than “baby puffs,” with 5 simple ingredients, 3 grams of fiber, no fake colors and only 1 gram of sugar. (I’ve never worked for or been paid by the company, I just love them!) I carry a small container in my diaper bag for a healthy whole-grain snack when my toddler gets hungry, and my 8 year old often steals them. My general rule for choosing cereals for kids is at least 3 grams of fiber and NO fake colors, and then you know it’s a healthier choice! Berries are loaded with vitamin C and other antioxidants to help keep us healthy. Buy organic when you can, and always wash well. When out of season, buy them frozen. They may turn little fingers and tongues purple, but they are healthy, delicious, soft, small and easy to gum. Cooked, soft beans or lentils are a healthy plant-based source of protein, iron, zinc and fiber. Many parents might not think of giving plain beans to babies, but they come in different colors and are even fun to count, so go bananas with beans! Plain slightly mashed beans are easy for older babies and toddlers to pick up. They make a great addition to lunch or any snack.